Damp clothes after a full dryer cycle? Strange appliance noises? 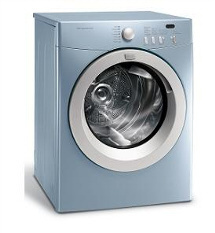 Turn to our specialists in dryer repair in Vaughan as soon as you notice any problem. We can fix any branded dryer. Our pros will replace the defected parts, which create problems. Whether you have an independent dryer or a comb front load washer and dryer, you can trust us to service it. Depend on us to troubleshoot the appliance’s problems and provide solutions on the spot. Our techs are always prepared for any job. Not only will Appliance Repair Vaughan fix your dryer, but will also install and maintain your dryer to ensure excellent performance. The cycle lasts longer than usually? Its temperature is increased out of the ordinary? Humidity in the laundry room is increased? The clothes smell bad after the cycle? The dryer is making a strange noise? Call us. We are available to provide quick dryer repair and serve all residents in Vaughan, Ontario. Our pro will check the appliance and do the necessary repairs in order to fix the problem. We always travel with reliable diagnostic equipment and have all the tools and spares with us to ensure the service is done properly. Contact our Vaughan dryer repair experts even if you don’t have particular problems with the appliance. It’s good to maintain it at least once a year to avoid hassle. The appliance won’t perform right if its tubes are clogged with lint. There will also be a slight chance of catching fire. With our dryer service, we ensure similar problems never occur in your laundry room. Our techs can service any dryer type and will take great care of its parts. If there are particular problems, which will require the replacement of parts, our techs will let you know. We also use quality front load washer cleaner products when servicing your all-in-one washer and dryer to ensure your clothes are as protected as your appliance. We are also here to cover your dryer installation needs. Our techs do the job correctly and with respect to your dryer’s specs. With our quick and thorough services, your clothes will dry well and smell good. And you will be spending much less on energy. Want the best for your dryer repair Vaughan needs? Call us.